The AIEA listserv is open only to AIEA members as one of the benefits of membership. Members are automatically subscribed and are encouraged to remain on the list since this is the key means of communication with members. 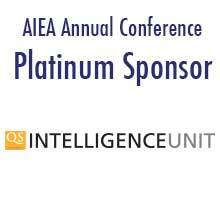 To unsubscribe, send a request to the AIEA Secretariat. To access summaries of responses to listserv queries, please click here. Please be sure to include your email address in the body of your email, as it will not appear in the "from" field. Active AIEA members can check past messages posted to the listserv by logging into their profile, then clicking "My Functions," then "E-Lists." The AIEA listserv is intended to provide a quick and easy way of using e-mail to exchange information, ask questions, and stimulate debate on the internationalization of higher education with your fellow professionals. The AIEA listserv is open to AIEA members and members are automatically subscribed for the duration of their membership, upon receipt of membership dues. Members whose membership has expired will have access to the listserv for a short grace period, and will be removed from the listserv within 30 days of membership expiration. Send the message from the email address affiliated with your AIEA account to [email protected] If you are looking for a response, please include your email address in the body of your email, as it will not appear in the post once it has been sent out. Do not include a message to the Secretariat or instructions, such as "Please forward this to the listserv," as the messages will go directly to the membership as-is and there is no option to edit posts. Before posting, please read the following guidelines carefully, including the preferred way to format and the the "fine print." Before sending an announcement to the AIEA list, please ask yourself if your message could be considered "marketing." If yes, it is probably not appropriate for the AIEA listserv. Forward "chain letters," warnings of"'virus threats," or "test" messages. Express grievances on personal or local issues. Distribute personal job or internship search postings or personal résumés/cv's. Post duplicate or repeated information about non-AIEA events, jobs, surveys, etc. If you are uncertain whether the content of your message is appropriate for the AIEA Listserv, please send a copy to the AIEA Secretariat and ask for advice. Language: Please post all your messages in English or add an English translation and keep them concise. The AIEA Listserv has a limit to the message length and will automatically reject any messages that are too long. Subject Line: Make sure the Subject line of your message is clear and specific so that people can quickly decide if they want to read it. Please include any relevant deadlines in the subject. Attachments: Do NOT try to include attachments in AIEA Listserv messages. The AIEA Listserv will reject messages with attachments, so your message will bounce back to you. Simply "copy and paste" the contents of the attachment into your e-mail message, or refer the reader to a web page with the detailed information. Reply Function: The AIEA Listserv "Reply" function has been set to send replies to listserv messages to the entire list. Please do not use ALL CAPS (words entirely in uppercase) for the subject or body of the email. Members agree to abide by the policy and guidelines outlined on this page, and you will be solely and legally responsible for any statements that you make on the AIEA-List. You are expected to read the guidelines carefully before using the AIEA listserv, and it is recommended that you keep a copy of this page for reference. AIEA and the AIEA listserv owners reserve the right to uphold these guidelines by removing subscribers from the AIEA listserv or using other administrative measures as approved by the AIEA Executive Board. Questions on the AIEA listserv policy and guidelines may be sent to the AIEA Secretariat. Thank you for your cooperation.